Barm cake is a type of bun with flour on top. It has a characteristically strong flavour that comes from the traditional barm leaven made from a natural leaven with the addition of hops. However, the Barm Cake is more likely made from commercial yeast today. 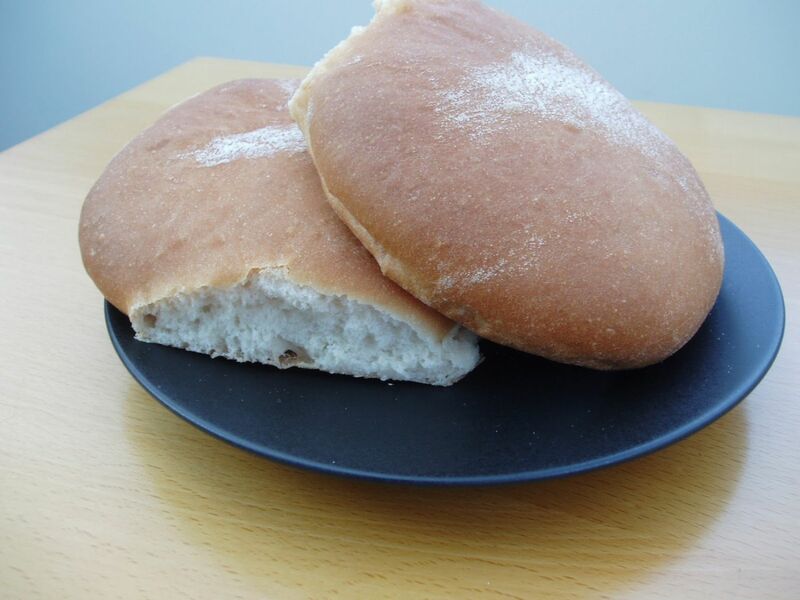 The original barm cake is found in areas of Lanca or even a "stotty". Chips are a popular filling, sold in most fish and chip shops in the North West of England often called simply a 'chip barm'. Another popular filling in the North West, particularly Bolton, is the pasty barm. Likewise in Wigan pies are a popular filling, as eaten by TV's Jamie Foster.